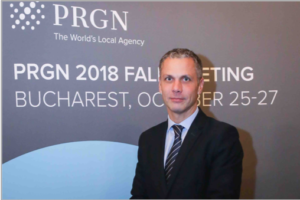 WASHINGTON, D.C. – November 8, 2018 – The Public Relations Global Network (PRGN) announced the appointment of Gábor Jelinek as its inaugural Executive Director at its fall meeting held in Bucharest, Romania in late October, and recognized its member agencies with awards for the best communications campaigns in the past year. Following a decade in journalism and with nearly 15 years of agency management experience, Jelinek brings extensive knowledge in management and international relations, along with an in-depth understanding of communications disciplines and practices. Jelinek spent 10 years as a partner at Hungary-based, PRGN-affiliate partner, Goodwill Communications, where he managed the business communications portfolio of clients in multiple industries. Prior to joining Goodwill Communications, Jelinek served as Client Service Director at Weber Shandwick in Hungary, as well as Editor-in-Chief of The Budapest Business Journal. Xenophon Strategies received four awards in the categories of Crisis Management, Agency Collaboration, Communication to Millennials and Public Affairs and Lobbying. 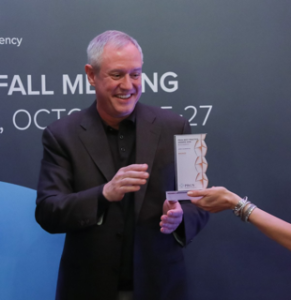 Overall, the most recognized agencies in the 2018 contest were HWB Communications of South Africa and Landis Communications, Inc. (LCI) of San Francisco, California, which both received two golden, two silver and one bronze awards. They were followed by Spider PR of London, UK with two golden, one sliver and two bronze awards. The highest number of golden awards were collected by L.C. Williams & Associates of Chicago, Illinois, which earned three golden awards in Bucharest as well as a bronze. As a leading PR agency in DC, Xenophon specializes in crisis management, agency collaboration, communication to millennials and public affairs campaigns to impact legislative and regulatory policy in Washington. Xenophon previously won PRGN’s public affairs awards for Public Affairs Campaign of the Year in 2017, 2015, 2014 and 2011. Xenophon Strategies is the Washington, DC member of the Public Relations Global Network. PRGN is an international network of 51 independent public relations agencies with over 900 employees and operations in 31 countries.